A HACPP Certified 24 / 7 temperature monitoring solution that will send an SMS and email alert if temperatures read outside of the set range. Our automated temperature monitoring system with alarming and compliance reporting is used in a multitude of food storage applications such as cold stores, fridges, cool rooms, freezers, food display cabinets and other refrigerator storage applications where temperatures can be monitored 24 hours a day from any internet capable device (mobile phone, tablet and computer). Our range of temperature sensors includes a probe sensor for bain marie applications and measuring temperature of foods through insertion into food products. Industries that benefit from this system are primary producers, food processors, cold storage warehouses, supermarkets, food wholesalers and retailers, restaurants, cafes, hotels, caterers, and food transportation. Our temperature monitoring system is also used in other applications such as vaccine storage in the healthcare, hospital and pharmaceutical industries as well as computer server rooms and other temperature critical applications. With equipment cost of less than $2000 for a typical restaurant or butcher application, the Sentry temperature monitoring system represents great value for money, particularly when one considers the costs associated with stock losses as a result of fridge and freezer failures. Fridge and freezer failures due to mechanical breakdown or power failure are commonplace, often resulting in significant stock losses and business disruption. The costs associated with such failures can be quite significant, as many a business has experienced. The Sentry temperature monitoring system provides alerts via SMS and Email in the event of fridge and freezer failure, enabling timely corrective actions to be taken to preserve stock and save on considerable stock replacement costs. 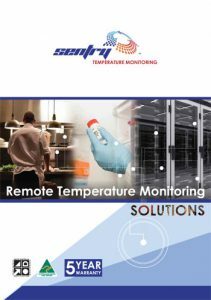 The Sentry temperature monitoring system automatically provides accurate daily temperature compliance reports consistent with Foodsafe requirements, even during the hours the business is closed or unmanned, at a far lower cost than current compliance practices. 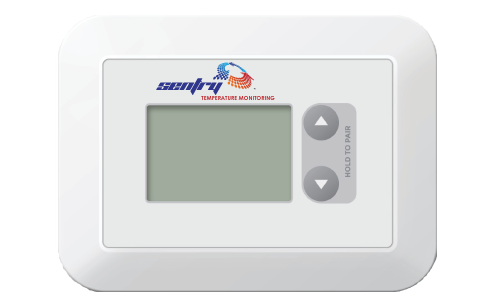 Installation of the Sentry temperature monitoring system is quick and easy, and can be self-installed. The temperature sensors are simply paired to the Collector unit and put into the fridge, freezer, cool room or other cold storage device that you wish to monitor. While temperature sensors are factory-calibrated and ready for installation, Foodsafe requirements demand that the temperature sensors are periodically calibrated. This task is easily performed with calibration results logged and reported on the Sentry system. Our refrigeration monitoring system utilises wireless digital temperature sensors that are accurate to 0.5oC. A powerful inbuilt transmitter provides extended range allowing the devices to be used on large and heavily built sites where signal strength can be sometimes weakened. With an IP67 rating (IEC Standard 60529), the temperature sensors are impervious to ingress of dust and water and are suitable for areas subject to regular hosing down for cleaning purposes. Wired versions of the temperature sensing devices are also available to the same IEC specifications. 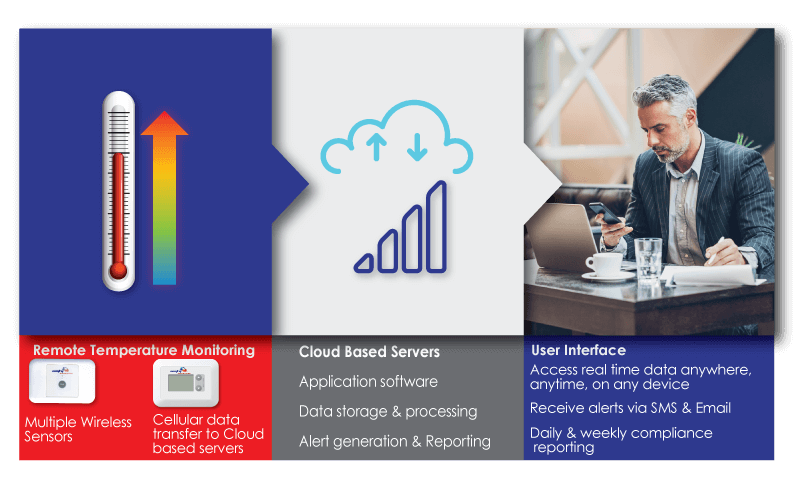 The digital temperature sensors send data wirelessly to a Collector unit that stores the information and forwards it via 3G-telephony to an AFSTC cloud-based server where it is constantly monitored and alerts and reports are generated. The Collector unit is also rated to IP67 and has an easy-to-read display for instantaneous data readings of all linked temperature sensing devices. The benefits of the Sentry temperature monitoring system are compelling. Not only does it alert you of fridge and freezer failure, preventing costly stock losses and associated business disruption, it also provides daily compliance reports of the temperatures of your food storage devices and lowers your Foodsafe compliance costs, giving you peace of mind. The Sentry Temperature Monitoring System provides 24/7 real-time monitoring of temperatures and alerts users if temperatures are outside of set points, allowing timely corrective action to be taken to preserve valuable stock. 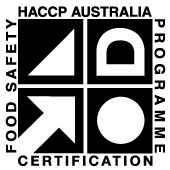 Compliance reports providing accurate data consistent with Foodsafe requirements are automatically generated and sent via email on a daily basis, even on days when the business is closed. 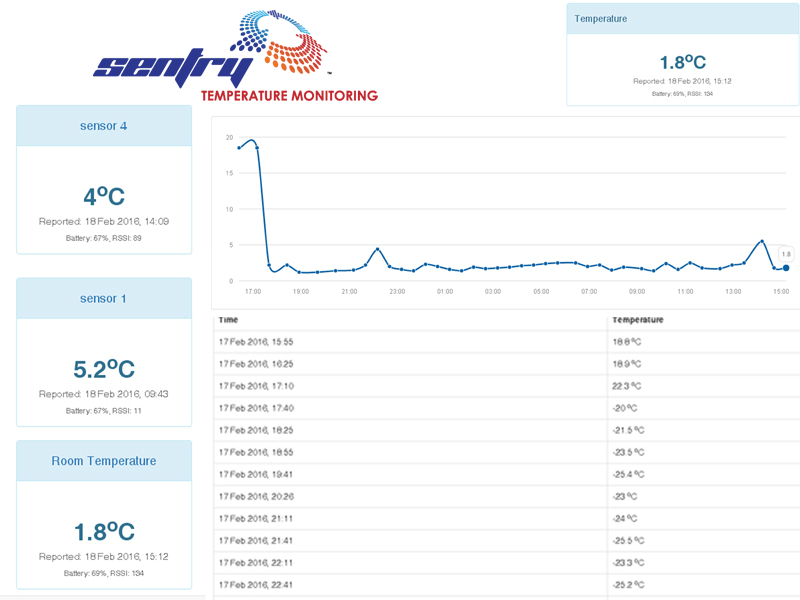 The Sentry Temperature Monitoring System runs on the 3G network and is therefore not WiFi reliant. In the event of a power failure, the back up battery will allow the refrigeration monitoring system to work and will send an alert to notify of the event. Different access levels can be set for Administrator and User roles. Temperature parameters are customised to your needs. Sensors are easy to calibrate and calibrations are logged automatically on the system. System has inbuilt self-diagnostics and sends alerts for weak battery, weak signal strength, power and 3G outages. Dual cloud-based servers provide 100% back-up in the event of a server outage. The system allows a full audit trail from temperature sensor through to receival of alert notification and compliance reports. The system has a five year warranty (excluding batteries). While compliance and more detailed operational reports are automatically generated and sent daily via email, users can access the reporting system through a portal on the Sentry Temperature Monitoring website for history and real time information. Download a copy of our brochure as a PDF.